During a meeting on Monday, April 8, Eaton Community Schools Board of Education recognized the Eaton High School Wrestling Team as the 2019 SWBL Southwestern Division Champions. They further recognized Skyler Straszheim, Seth Bowman, and Zachary Schmidt for qualifying for the State Wrestling Meet and Wade Monebrake for his fifth place finish at the OHSAA Division II State Wrestling Championship. During a meeting on Monday, April 8, Eaton Community Schools Board of Education recognized the Competition Cheer Team for competing at the 2019 OASSA State Championships. During a meeting on Monday, April 8, Eaton Community Schools Board of Education recognized Tyler Gregory for qualifying for the OHSAA Division II Boys Swimming and Diving Championships. 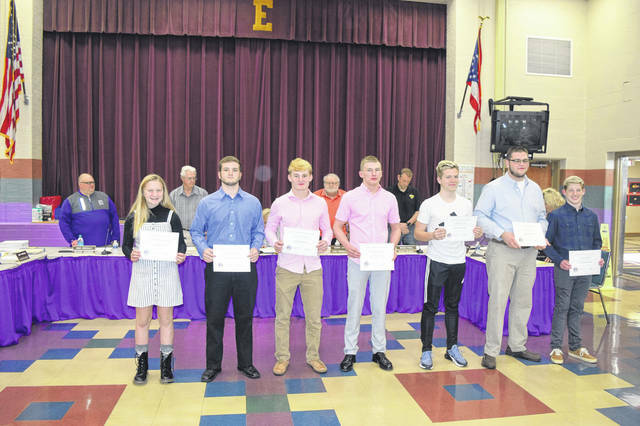 https://www.registerherald.com/wp-content/uploads/sites/41/2019/04/web1_Students1.jpgDuring a meeting on Monday, April 8, Eaton Community Schools Board of Education recognized the Eaton High School Wrestling Team as the 2019 SWBL Southwestern Division Champions. They further recognized Skyler Straszheim, Seth Bowman, and Zachary Schmidt for qualifying for the State Wrestling Meet and Wade Monebrake for his fifth place finish at the OHSAA Division II State Wrestling Championship. 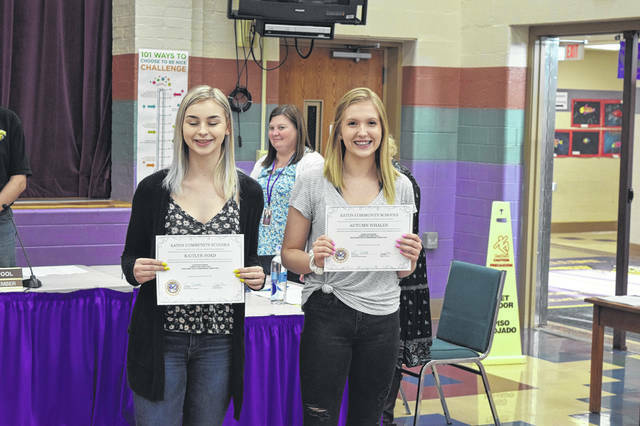 https://www.registerherald.com/wp-content/uploads/sites/41/2019/04/web1_Students2.jpgDuring a meeting on Monday, April 8, Eaton Community Schools Board of Education recognized the Competition Cheer Team for competing at the 2019 OASSA State Championships. 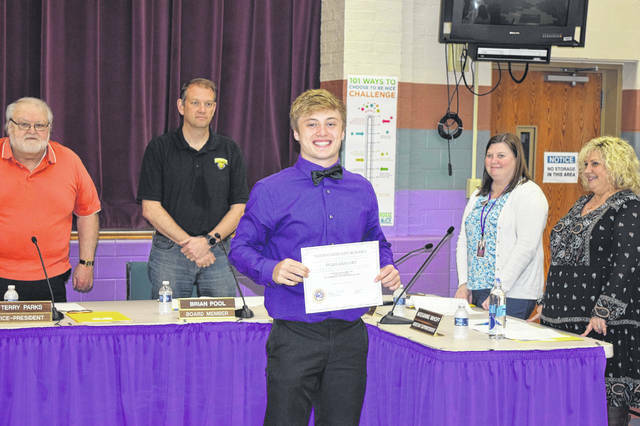 https://www.registerherald.com/wp-content/uploads/sites/41/2019/04/web1_Students3.jpgDuring a meeting on Monday, April 8, Eaton Community Schools Board of Education recognized Tyler Gregory for qualifying for the OHSAA Division II Boys Swimming and Diving Championships.